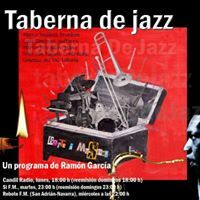 Ramón Garcia nos dedica su programa a nuestro proyecto. Cinco grandes músicos dan forma a un proyecto de gran belleza, de una música inspirada pero sobre todo libre. remove the link on the KickBack with old radio shows where you are recommending â€ The Paul Temple showâ€ since the content is being contested and is NOT available thru this website.